Now I am not a “Twi-Hard” fan, but I am a fan. I think the books were fun reads, but not quality literature. For the record, though, I am on Team Edward. I am forced to forgive Rob Pattinson for his horrendous hairdo in this picture; it is for a movie he’s making. 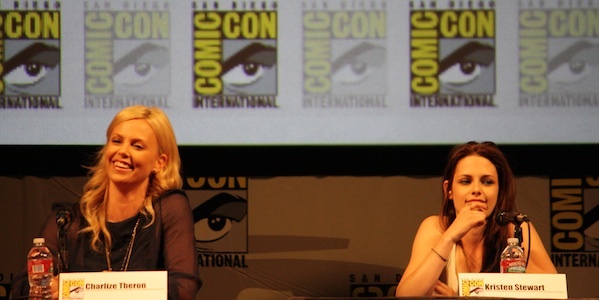 Again, we have Kristen Stewart (aka Snow White) along with Charlize Theron (aka the Evil Queen). While I’ve always respected Kristen Stewart for maintaining her own ideas on style, when I see this picture of drab Kristen next to beautiful Charlize, I want to tell her to glam it up. 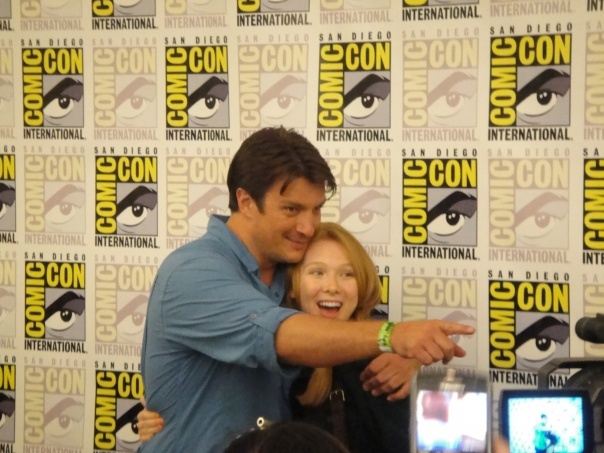 Here’s Nathan Fillion (aka Rick Castle) with Molly Quinn, who plays his daughter on the show. Oh, Nathan Fillion! Drool. 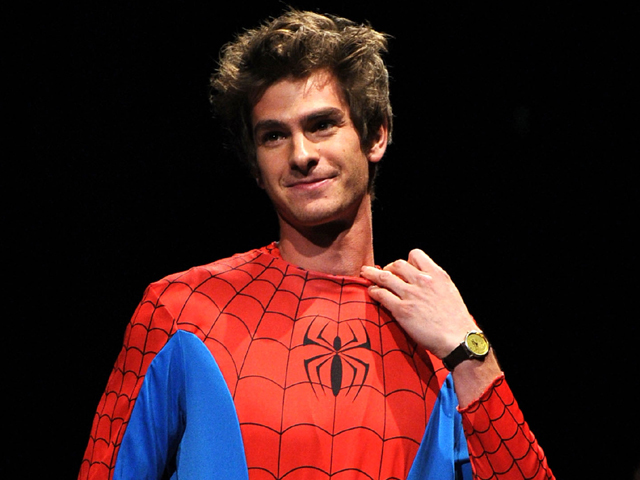 Here’s Andrew Garfield in his Spidey suit. Does anybody recognize this kid? 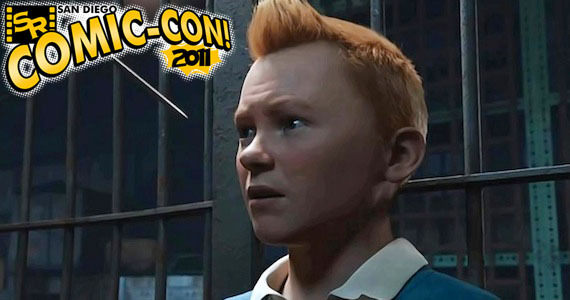 It’s Tintin!!! Steven Spielberg is producing a Tintin movie. 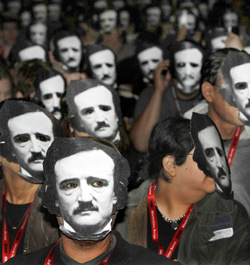 These Poe masks were actually 3-D glasses for a screening of “Twixt”, a film about Poe. 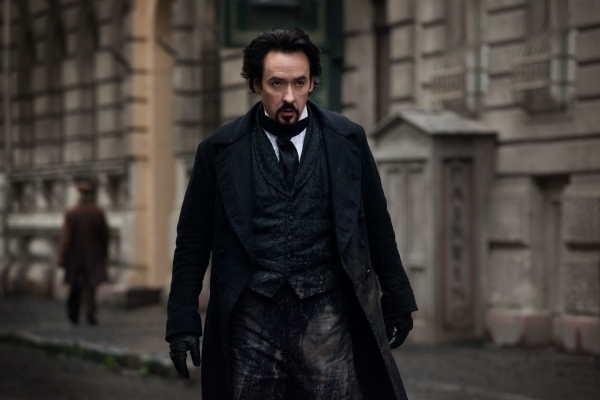 Also, John Cusak was there talking about his role as Poe in “Raven.” Doesn’t he make a dashing Poe? 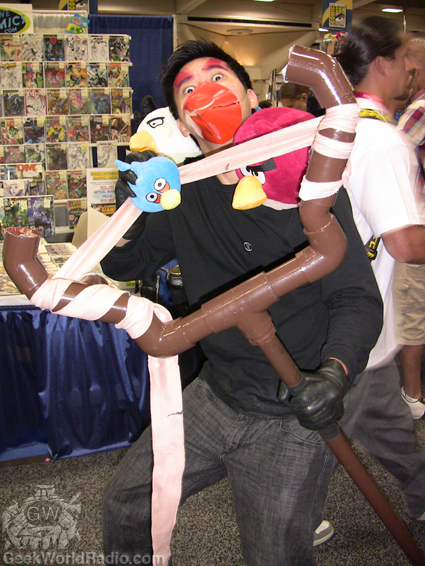 And finally, the funnest part: fan costumes!! 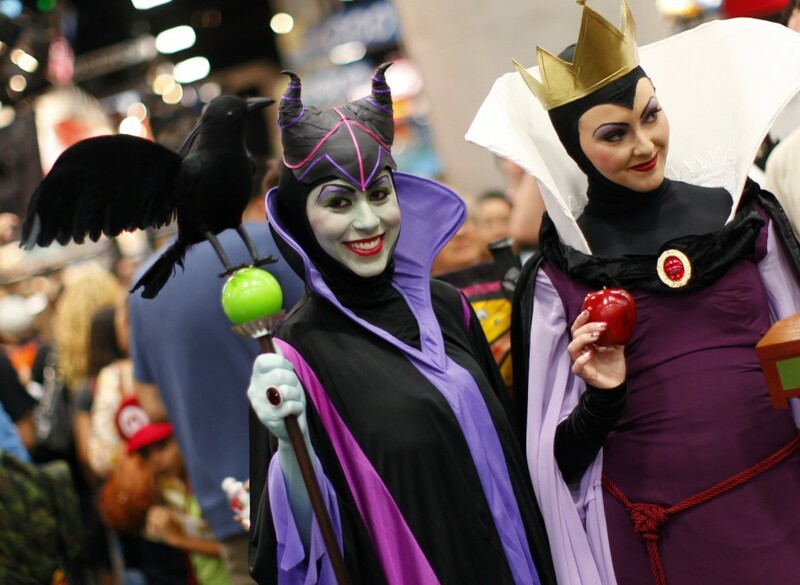 From Evil Queens . 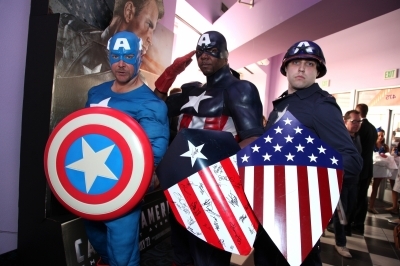 . .
To Superheroes . 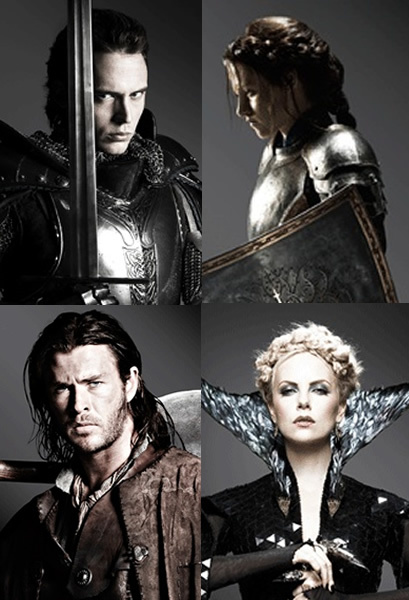 . .
To Pirates of the Caribbean creatures . 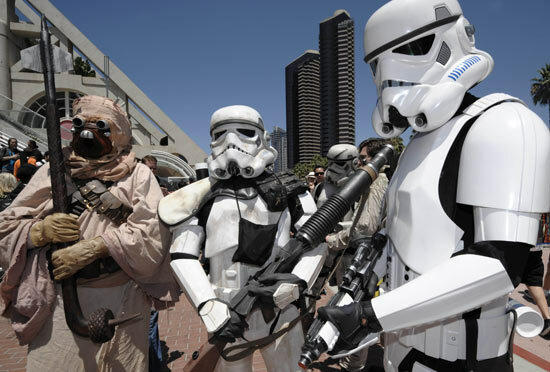 . .
To the iconic Star Wars . 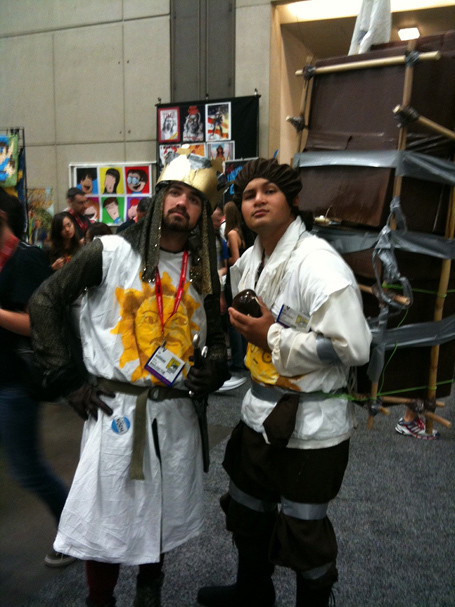 . .
To Monty Python . . .
See what I mean? Don’t you want to go now, too? 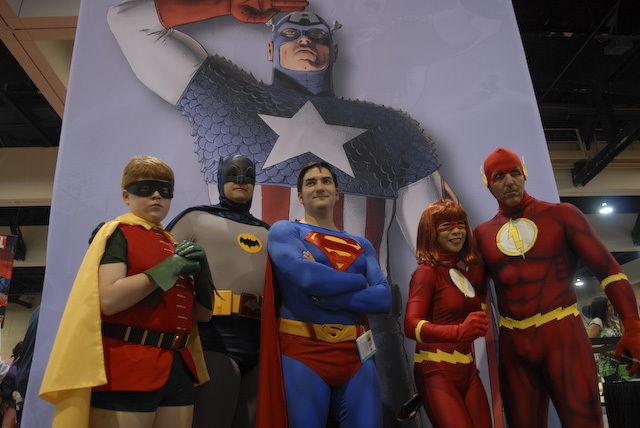 Who would you dress as? My top 5 picks: She-ra, Arwen (from Lord of the Rings), Elphaba (from Wicked), Princess Leia (Star Wars), and Punky Brewster.